Kalender.com is an onlinecalendar which can be used to save meetings, birthdays, etc. in a handy overview. The customers wish was to have the domain name in the logodesign. The new online shop ‘Miss Sunshine’, which produces waterproof bags for kids, was looking for a suitable logo with a positive image. The logo had to show a girl who’s wearing rubber boots and a rain jacket. For a store that offers high quality wines, champagne and different oils was a word and device mark develop. The logo had to contain the elements of the offered products. A catering company was looking for a new logo. For a small and cozy restaurant, which offers dishes from the French and Italian kitchen, we developed a new logo with warm colors. The online ‘www.strandkorbexperten.de’ that produces beach chairs, was looking for an attractive logo with summer look. This dog trainer started a small company which offers nutrition and behavioral advice. He looked for a logo with recognition value. This Lifestyle grocer wanted a logo that communicates creativity, communication and sustainability. 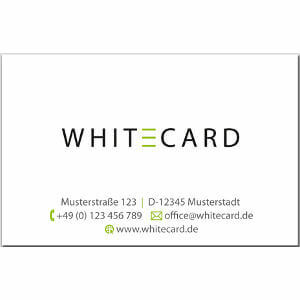 The firm White Card AG looked for a clean and simple business card. This company needed a new Logo. This saloon was looking for a logo for its stamps, prints and internet website. 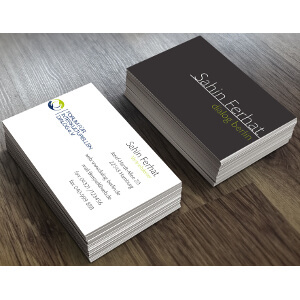 This firm was looking for a logo that was suitable for printing and stitching. This logo needed to contain a coconut and had to be suitable for t-shirt prints. Corvus, which means ‘raven’ in Latin, wanted the symbol of the bird in its new logo. This company that sells organic products, produced and manufactured in Greece, was looking for a notorious and clear logo. This family restaurant from young owners was looking for a new logo for their office equipment. 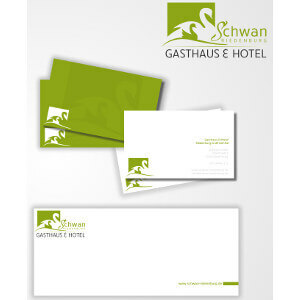 Since the restaurant was named Swan, it was obvious that the same animal had to be shown in the design. Important was that the logo communicates Technology and Video. The firm Heimathafen Design, which specializes in individual furnishing and wall decorations, chose a retro-style logo that communicates individuality. Business cards for FID e. V.
The forum ‘Inter Dialog Kultur Ellen Berlin e. V.’ was looking for an impressive design for their business card.